The Independent Global Stocktake (iGST) is a data and advocacy initiative that brings together climate researchers, modelers, and advocates to support the Paris Agreement. Reporting on climate progress is required under Article 14 of the agreement; iGST’s objective is to support this analysis, known as the Global Stocktake, and to increase its accuracy, transparency, and accountability. If the term “stocktake” conjures up images of store clerks with clipboards perusing backroom shelves, then you may not have read Article 14 of the Paris Agreement lately. It outlines an obligation, known as the Global Stocktake, for countries to assess progress toward the purpose and goals of the agreement every five years, with the first report due in 2023. 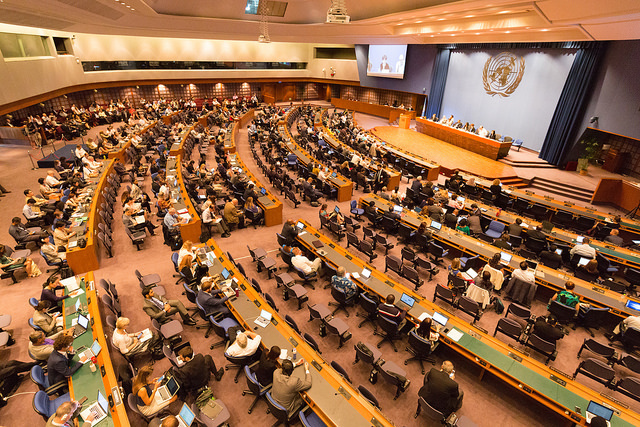 In addition to assessing progress, the Global Stocktake will shape the next round of nationally determined contributions (NDCs) that are due by 2025. The stakes are high, and the Global Stocktake process needs to be transparent and informed by civil society. This COP24 panel discussion, co-hosted by ClimateWorks and the Wuppertal Institute, will focus on the Paris Agreement-mandated Global Stocktake and the factors that will determine its success. Speakers will confront the big questions which are essential building blocks for a robust Global Stocktake. The expert panel consists of organizations that continue to address questions pertinent to the design of the Global Stocktake. Join us in-person or via webcast.